Vulnerability, the word that gets a bad reputation but is essential for anyone who wants to start their own business. Being vulnerable is just like taking risks, and with no risk, there is no reward. 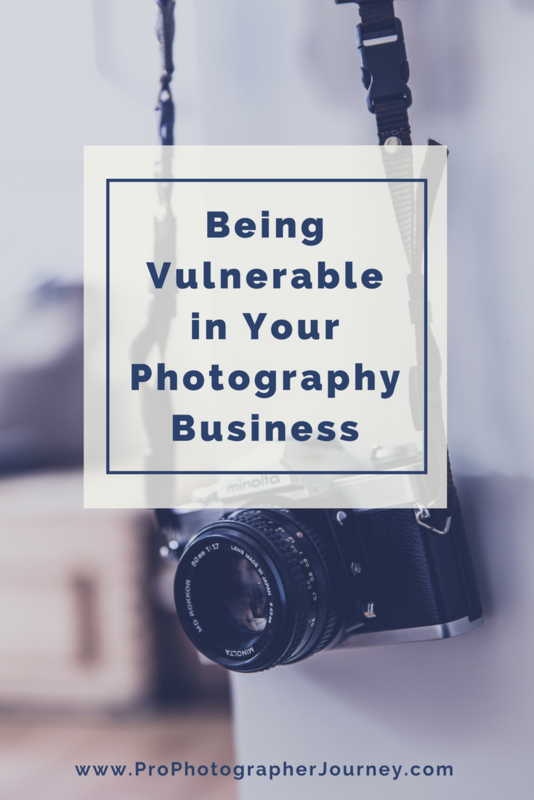 When it comes to photography, there are certain risks that you have to take and have to attempt to make sure that you are staying alive amongst all the changes and the competition, but being vulnerable? That’s the key that some photographers are missing. Being vulnerable, by definition, means that you are putting yourself out there, trying something risky in order to reap some type of reward. Maybe the reward is respect, money, or power. It doesn’t matter. In light of this, the first thing you need to do to become the right kind of vulnerable is to avoid fearing new things. Take new challenges, new clients, new photography tips with stride. Each of these new experiences promises a lesson. The lesson won’t always be easily won, but a lesson is embedded in them just the same. The next way to become vulnerable in your photography business is to do your best to be the best. This might involve changing, upgrading, and learning how to use new gear. One of the best examples of this is when photographers label themselves “natural light” photographers. This is a sure sign that they aren’t aware of the vast benefits that reflectors and lights might have on their images. Being vulnerable is about trying new things in your business and trying new gear as well. Take your images to the next level by risking some time and effort to learn something new. Finally, the best way to show your vulnerability and confidence in your photography is by sharing your secrets. If you want to be the best, you want to learn from the best, be inspired by the best, and be in competition with the best. Most photographers don’t want to share their secrets as they worry someone out there will become better than them. This mentality is not the right kind of vulnerability. You can teach classes, give away freebies on your website, go on podcasts and share your secrets, but by putting yourself out there to show everyone the fantastic work that you do and how you do it will show a tremendous amount of confidence, and you will end up lifting up the whole photography community. Being vulnerable is not being weak. Smart vulnerability will make you approachable, a great listener, a strong business owner, and a better photographer. Stop fearing new experiences, and instead embrace them. Challenge yourself with trying new techniques and new gear, and most of all, share your secrets on how to be great so you can continue to learn and grow and help other photographers as well.